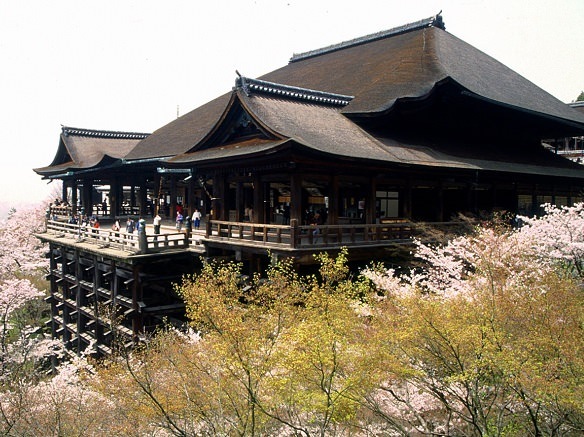 Due to preservation efforts, Kiyomizu Temple will be under going renovations. The Main Hall will be covered from June 2017, and is set to be completed by March 2020. 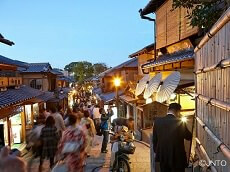 Kiyomizu Temple is one of the most popular temples visited in Kyoto each year. 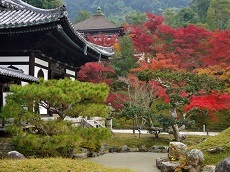 The temple is noted for its main Hall on the cliff top with a broad wooden veranda and a panoramic view of Kyoto city. The veranda is supported on a scaffold of wood towering on a wooded hillside, so the veranda seems to hang in midair. The valley is so deep that there has been the expression "jumping from the veranda of Kiyomizu temple," which means doing something daring. The present temple building was built in 1633, and its main hall has been designated as a national treasure. Apart from the veranda, Kiyomizu Temple's Pagoda and waterfalls are popular spots for tourists to visit and take photos of. It is said to drink from the waterfalls can grant wishes and is advised for guests to try. In 2007, Kiyomizu Temple was one of 21 finalists for the New Seven Wonders of the World and continues to be one of Japan's most popular temples. Within the temple grounds is the Zuigu-do Hall, named after Daizuigu Bosatsu, the mother of Buddha. Daizuigu Bosatsu is a female Bodhisattva known to have the power to grant any human wish. At Zuigu-do Hall, visitors can also experience a unique experience called tainai-meguri for a small fee. Tainai-meguri involves going down a staircase to enter a room of absolute darkness, which resembles the womb of the female Bodhisattva. 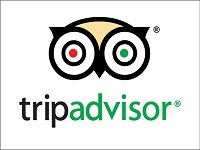 Although unable to see anything due to the absolute darkness, visitors must navigate themselves in the room using a beaded rope until you come across a large glowing stone. You are to spin that stone and make one wish, which is said to come true. Don’t miss out on this unique experience when you visit Kiyomizu Temple. 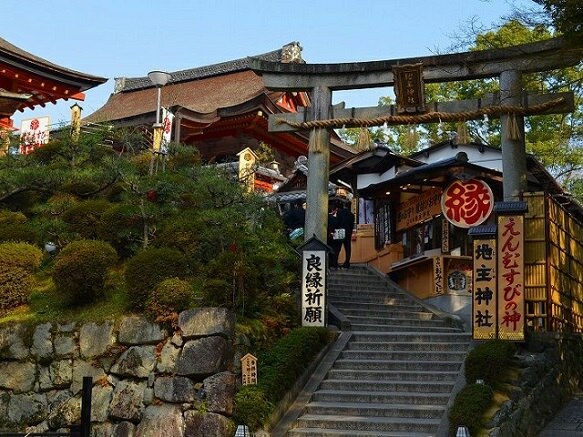 Jishu Shrine is a shrine located behind Kiyomizu Temple. The shrine is dedicated to Ōkuninushi, the God of love and good matches, and is known for just that, for love. 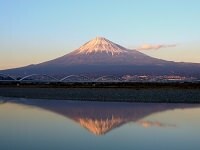 Most come visit Jishu Shrine for the "love stones". Two stones are placed approximately 30 ft apart and the challenge is to walk from one stone to the other with your eyes closed. Those who are able to complete this seemingly simple yet not so easy task are said to be on their path to finding their true love. You can also be guided to the other stone by another which means that in finding your true love you will also be guided for someone else.